Pizza Hut Halo 4 Red Warrior Armor Suit Promotion FREEBIE! crust Red Halo 4 Warrior Armor Suit. What’s that? You don’t live in the UK? Well here is a little secret from XAG! Fill in the details on our competition page and grab yourself a free Halo Avatar. But, you might get a female or a male. It is random. HALO 4 Master Chief Armor 4 Code Giveaway! Halo 4 is still a while away. BUT.. XAG has what you need to hold you over! Today we start our NEW Contest. The Halo 4 Master Chief Armor 4 Code Giveaway! 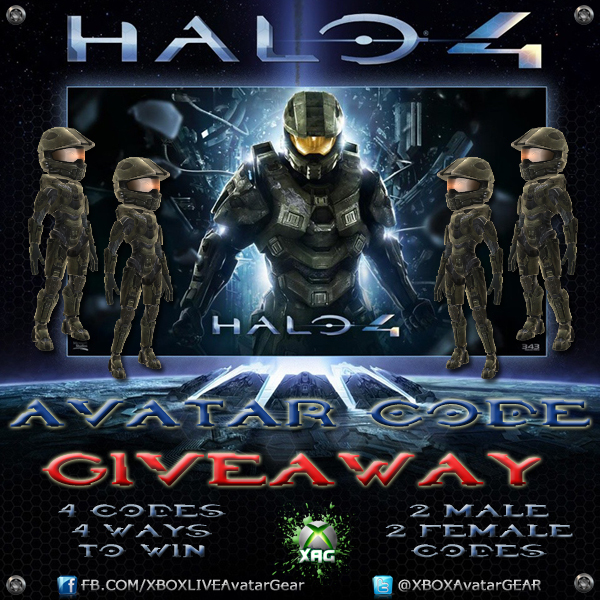 We will be giving away 4 Halo 4 Master Chief Armor codes to 4 lucky XAG Fans. 4 Different ways to enter. 4x the chances of winning! We are going to hold a contest on Facebook, Twitter, Forums, and our website all at the same time. Enter in one, or all four, the choice is yours. Good Luck to all and now time for the Rules! We are going to use RaffleCopter again since it worked so well last time. Please follow this link to our Facebook App and complete all required challenges. Must post a comment on this page down at the bottom telling us why you would love on of these Halo 4 Master Chief Codes. No begging necessary, just tell us why you feel you are a Big enough HALO fan to deserve one. Please be creative, Just a simple “I am a Huge Fan” will not win it. Please click the Like and Share bottons Below. Must sign up for our XAG Email list on the front page in the top right of the website. Must post on the Official Contest Picture your favorite Halo Game. 1 Entry per day untill the contest ends, but may re-tweet as many times as you like. 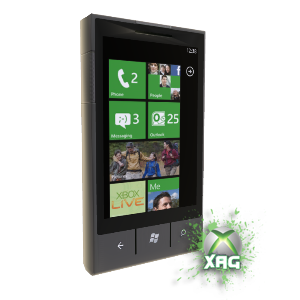 Must Follow @XBOXAvatarGEAR to qualify to win. Winner will be chosen at random and DM’d your code. Must post a comment on our Official Halo 4 Master Chief Armor Thread Telling us how YOU are the Biggest HALO Fan, Or a HALO related Story. Good Luck to all. Contest rules subject to change at any time.